Webmasters are being flooded with mobile first index for SEO happened a lot last week. These notices are about how this indexing has been enabled for websites and many new webmasters. However, it’s also been the single largest batch of notices that’s been sent out about these changes. Now that it’s been brought to your attention, there are a few things you should know about it. Google typically uses the desktop version of your website’s content. Unfortunately, this often causes issues for mobile users because the desktop version is vastly different from the mobile version. With the mobile first index mobile users are better able to easily find what they’re looking for. This is because Google is crawling the web acting like a smartphone browser and seeing this version of your rendered website instead of the desktop version. While Google hopes this won’t impact your rankings, if your site’s mobile content is vastly different from its desktop content, you’ll see an impact in the SERPs you’ll need to work on your SEO to fix. Some people believe that with this latest update Google moved some sites that have even bigger differences between their mobile and desktop versions. Deploying different URLs for mobile-first indexing than those used for desktop will ensure that your mobile version is always the one that’s indexed, even if your desktop URL is the one that’s shown. Fortunately, this is something you don’t need to worry about if you have a single URL for both mobile and desktop. The mobile version of your website is the one that’s indexed through mobile-first indexing. Mobile users always see your mobile URL while desktop users always see your desktop URL. Your mobile version will always be what’s indexed though. Google claims the daily crawl count won’t change. There’ll simply be a shift from mainly desktop searches being crawled to mainly mobile searches being crawled. As this reindex happens, many people feel we will see a temporary increase in crawling. You must pay attention as this mobile first index happens because there’s a bug that’s known to exist in Google cache. When they move a site over to their mobile-indexing process, sometimes the cache link doesn’t return anything or it’ll show a 404 or a blank page. They’re currently working to fix this but fortunately it doesn’t affect crawling, indexing, or ranking. Make sure that your website moves fast, especially for mobile users. While this has nothing to do with mobile-first indexing, it’s still an important part of the SEO process. Google says that mobile website UIs that have “hamburger menus” or “accordions” are fine because your website doesn’t need to be mobile friendly or responsive to be indexed. Your website just needs to work on mobile. However, in the future you’ll want to move from desktop-only to embracing mobile. Even though being mobile friendly plays an important role in SEO, you won’t get better ranking with this index. 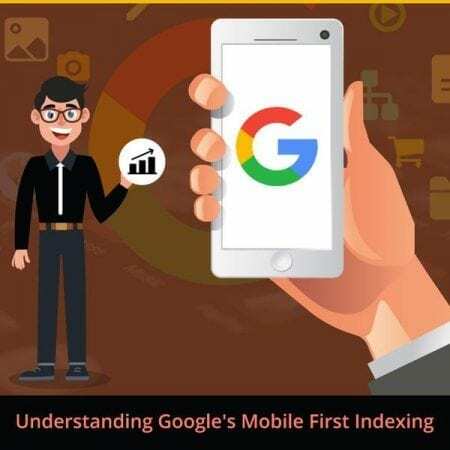 With so much to understand about the mobile first index and SEO in general, it’s a good idea to have an expert on your team. For this you can call on #ISEOU – something that many highly satisfied clients have done over the years. They will help you make sure your website is always up-to-date so you’ll never have to worry about it again.